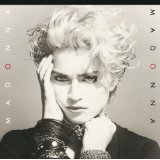 With her new album, Rebel Heart, Madonna recently appeared on the cover of Mojo magazine and Stereogum.com published an article on her worst to best albums. This all coincides nicely with a Christmas present that I bought for myself of Madonna’s box set containing all of her CDs in slipcase form up to 2008’s Hard Candy. While I’ve lost touch with her over the last couple of years, in general I’ve always been a Madonna fan. From seeing the video to “Lucky Star” as an impressionable eight year old right up to the ABBA sampling “Hung Up” from Confessions on a Dance Floor. Having said that, the only purchases I had ever made from her over the years were the two greatest hits collections – The Immaculate Collection and GV2. The Immaculate Collection is absolutely flawless and a constant in my top 30 albums of all-time list. While GV2 doesn’t quite live up to that, it’s only about half a step behind. But even with these collections there were several memorable tracks still missing; “Dress You Up”, “True Blue”, “Oh Father”, “Rain”, etc. So with that in mind, I started to tackle her box set last month starting with the 1983 self-titled debut. Most will be familiar with sparkling singles “Lucky Star” “Borderline” and “Holiday”. The first half of the album really shines with those three tracks along with club single “Burning Up” and the simple yet catchy “I Know It”. The next three songs are a bit more problematic. “Think of Me” and “Physical Attraction” are instantly forgettable and the first single released on the album, “Everybody” only slightly improves things. Like a Virgin shot Madonna into superstardom while True Blue, and Like a Prayer were inescapable through the 80s. Through that decade Madonna appeared in films, recorded soundtracks, and was a constant in tabloids but on Madonna it was just about the music… and that music was very, very good.